As Turkuvaz, we process your personal data and make every effort to protect your data by taking technical and administrative measures prescribed by law. You can access the explanatory text for your processed personal data by visiting the data policy page. The area controlled by the Islamic State of Iraq and al-Sham (ISIS) expanded suddenly after ISIS made a move into central Iraq from the east of Syria. While the world spoke about this expansion, weapons that ISIS seized, many of which were U.S. weapons given to the Iraqi army, became the main point of discussion. Under normal circumstances, planes, helicopters, tanks and heavy guns that the Iraqi army could not take with them while pulling back should have been destroyed. The U.S. calculated that weapons might fall into the hands of al-Qaeda and the Taliban if requests for combat aircraft were granted, but the U.S. still agreed to sell these to Iraq. Nouri al-Maliki's government not only asked the U.S.to assist in creating an effective air force but also the Czech Republic, which sold Baghdad 12 L-159T1 fighter aircraft. After ISIS' expansion in the region, Maliki realized that the air force was not effective and immediately bought second-hand Suoki 25s from Russia. As this unfolded on the Iraqi front, ISIS maintained control over parts of Iraq and Syria. We will have a chance to see if ISIS will continue the Taliban's passiveness with regard to using air force and sophisticated weapons, although the Taliban has experience in governing in Afghanistan. ISIS added new Russian T55 tanks to previous ones that they acquired from the Syrian opposition before entering Mosul and Tikrit in Iraq. It is known that ISIS has 30 of these tanks, and they have used some in Syria, Deir ez-Zor, rural Humus and some in Mosul and Tikrit. 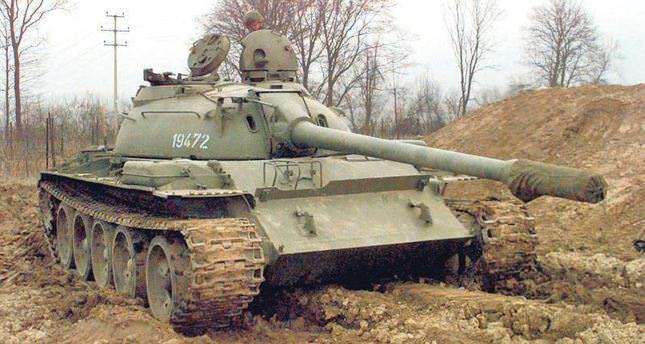 It has been reported that some other models of Russian tanks used by the Iraqi Army, the T72, are in the hands of ISIS, and they likely possess five to 10. According to some reports, although it is not confirmed, ISIS seized one or two U.S.- made M1 Abrams tanks. The Iraqi Army has 140 M1 Abrams tanks. In October 2012, Iraq bought six more of these M1 Abrams tanks. The M1 Abrams tanks that the Iraqi Army has are technologically inferior to the ones the U.S. uses and closer to the M1 Middle East model, manufactured in Egypt. It is known that M1 tanks are mostly located along Kuwait and Saudi Arabia borders in the south and some in Bagdad and its surrounding areas. Because of this, the chances of ISIS taking control of these tanks are slim. Actually, the number of tanks that ISIS has seized is more significant than them taking over American-made Hummers. Regardless, the world is more focused on the military jeeps and vans. U.S.-made Hummer GMC and M1088 trucks that ISIS confiscated have garnered more media coverage. While ISIS upgraded to U.S.-made jeeps and trucks from Toyota and Nissan, the number of vehicles that ISIS has taken reached more than 200, and some of these are sent to Syria. Moreover, ISIS has scorpion or cobra four by four tactical armored vehicles by Otokar used in Mosul by the Iraqi Army and English Land Rover jeeps. Although ISIS reportedly took control of some U.S.-made Black Hawk UH60 and Bell-IA-407 helicopters when they occupied Mosul Airport, authorities from the U.S. and Iraq have denied that these helicopters were in ISIS' inventory. In Syria, some MI8 and MI17 helicopters became unfit to fly and were confiscated by the Free Syrian Army and then ISIS. The Syrian opposition has not been equipped to use any air vehicles in their fight against the government for more than three years. It seems like this situation will continue. While they were effective in Syria, ISIS was accustomed to fighting with Kalashnikovs, although they use very few American made M16 automatic rifles. It is known that the number of M16 and M16A4 rifles confiscated from the Iraqi Army is slight and that ISIS has distributed these weapons to many groups with night vision equipment and rifle bombs. The number of RPG7 rocket-propelled grenades ISIS possesses increased after their offensive in Iraq. Although the effectiveness of new armored vehicles is in question, the Syrian opposition destroyed or disabled many regime tanks using RPG7. Although ISIS has problems supplying ammunition for sophisticated weapons, it seems that machine guns and vehicles for transportation are not problems. The American-made low attitude air defense system FIM92 Stringer MANPAD and the Soviet model, as well as Polish- and Bulgarian- made ZU23-2 and ZU23-4 anti-aircraft guns are now in ISIS' inventory. Despite that, there is no certain information about the number of guns and whether ISIS has an air system to defend them at the moment. BM21 Grad multiple barreled bombardier rockets, 155mm M198 howitzers and Type 59 130 mm cannons have been added to ISIS' inventory in Iraq. The large number of weapons in ISIS' inventory prompts the question of whether the organization has enough trained members or not. In Libya and Syria, the opposition learned to use tanks, cannons and multiple barreled bombardier rockets, RPGs and other weapons in a very short time. ISIS shoots with tanks and cannons, which it confiscated in Mosul and Tikrit, in some areas. ISIS is known to have experience with using tanks in Syria. ISIS portrays itself as a group that has adopted a policy of not carrying heavy weapons as a principle. Bringing new weapons into their inventory comes with new disadvantages. Transportation of heavy weapons is difficult and means that the organization's convoys are now targets. ISIS has shown with SCUD missiles in Raqqa -- thought to have been taken from the Syrian regime -- that the organization is aiming to acquire a diverse inventory of weapons.